The Wisconsin SC issued two new disciplinary cases today. Both make me shake my head. Non-compliance with trust account certification requirements. Other than that, his law practice is off to a good start. Mr. Moss (I don’t think calling him “Attorney Moss” is appropriate) apparently recognized that maybe practicing law was not for him. Even prior to being service with the disciplinary complaint, he sent a letter to OLR saying he would not respond to any grievances and enclosed his State Bar membership card, seeking to resign from the state bar. OLR did not take “I quit” as an answer and continued its action. Here is the amazing thing: The referee, James C. Boll, Jr., recommended a nine month suspension. Really? After 35 counts, a default and his mailing in his license – nine months? The SC was a little bit better, imposing a 2 year suspension. No dissents. The other case is In re Disciplinary Matter of Sayaovong. In that case, the attorney was charged with seven counts of misconduct arising out of two client matters. The attorney never bothered to respond to the complaint. As a result, the referee found that he was in default for failing to respond to the complaint. The “tough” sanction was a public reprimand. Really. Seven violations and no response and he didn’t even get a time out. Again, no dissents. 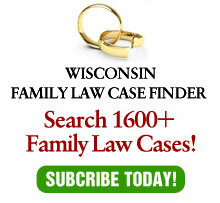 Two more cases proving how pathetic our so-called disciplinary system operates in Wisconsin.